Every year for different reasons, player values fluctuate. The key for fantasy owners is identifying which players are undervalued and which are overvalued. This can be much trickier than one might think. The first step is trying to separate your personal rooting interest from the equation. A Yankee fan might have always overrated Derek Jeter because of his undying allegiance to the captain. But you can’t draft a fantasy team that way and expect to win. The bi-product of this kind of loyalty can lead to a roster that is top heavy with stars and lacking depth. The next step is learning what makes a player overrated/underrated. Let’s first take a look at overrated players. What makes a player overvalued? Sometimes it's a young player who gets called up and has a great two months of production. Then many owners think that player can sustain that level for an entire season. Rarely does this happen. More often than not, a young player struggles the second time around the league and has to learn to make adjustments in order to be successful. Fantasy writers are very much to blame for over-hyping young up and coming players as well. While in dynasty leagues these players can be crucial building blocks, they very rarely have a significant impact on a single season league. There is real danger in taking a player with a small successful sample size and projecting that over a full season at the same high rate. Some players have mediocre careers and then see a tremendous one year spike in production. This is something I like to call the “Brady Anderson Effect”. Most of us remember the light hitting Brady Anderson who hit 50 homers one year out of the blue. Before that, his previous high was 21 homers. Jacoby Ellsbury is a perfect example of this type of thing happening in recent years. His 2011 season was worthy of an MVP, but he has never been that player before or after. Sometimes players do turn a corner in their career. Look at Jose Bautista and Edwin Encarnacion for example. Both were languishing into their late 20’s early 30’s then became middle of the lineup threats out of nowhere and sustained it. This is more the exception than the rule. The last overrated problem can actually stem from players returning from injury. This happens to even the most astute fantasy player. When a good player is coming off an injury some owners see that as a “buy low” opportunity and actually end up overpaying for a talented player who is not 100% healthy or able to live up to past production. A great example of this is Brandon Morrow. He teased with some real flashes of brilliance then was subsequently overvalued. Then injuries struck, but instead of owners shying away, they continued to actually overpay for a player who was fragile and never offered consistent production. This is the perfect storm for failure. C Brian McCann NYY Yankee Stadium does not make him a lock for a big year. Plus, the new league and pitching staff could actually have a negative impact on his offense. 1B Chris Davis BAL He had an incredible career year, but he still strikes out way too much and will have trouble coming close to that gaudy homerun total. 2B Ian Kinsler DET Some owners still see him as the guy who went 30/30, but those days are long behind him. 3B Manny Machado BAL He is a bright young talent, but fell off considerably in the second half and is coming off a major injury. SS Jean Segura MIL Dreadful after the break and had little minor league pedigree to suggest he can maintain his ridiculously good first half stat line. OF Matt Kemp A guy who had one great year and a bunch of good ones, Kemp is still looked at as a first round talent. In reality, he has only that one huge year to support that theory and is coming off yet another shoulder injury. 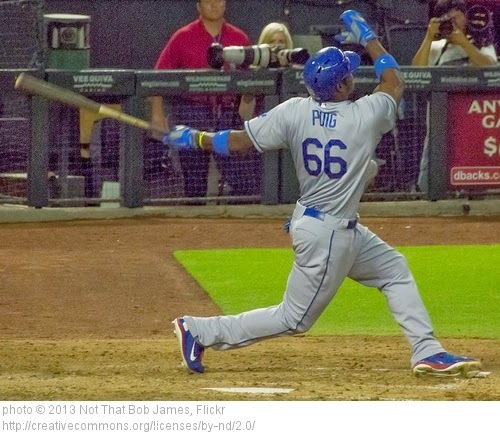 OF Yasiel Puig Has big talent and comes with even bigger question marks regarding his maturity. A very risky pick based on his box office hype. OF Billy Hamilton CIN Steals are great, but you have to get on base in the first place to steal more bases. Hamilton has had a tough time adjusting to higher level pitching so far and may be over-drafted based on one category. RHP Jordan Zimmerman WAS A terrific pitcher, but his value is tied to wins and wins are fickle. Not a flamethrower that puts up big strikeout totals. 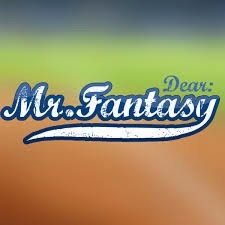 LHP Jon Lester Just because he is the ace of the Red Sox does not make him a fantasy ace. He is above average, but not an ace. Pitching for a high profile Boston team inflates his value. RP Koji Uehara BOS Had one brilliant season as an untouchable closer late in his career. So did Fernando Rodney two years ago…remember? Now they are no doubt a very talented bunch. The problem is their cost to value ratio is out of whack. RPV is a great way of stripping the player down to his statistical core and actual value. Actual value can be quite different from perceived value.